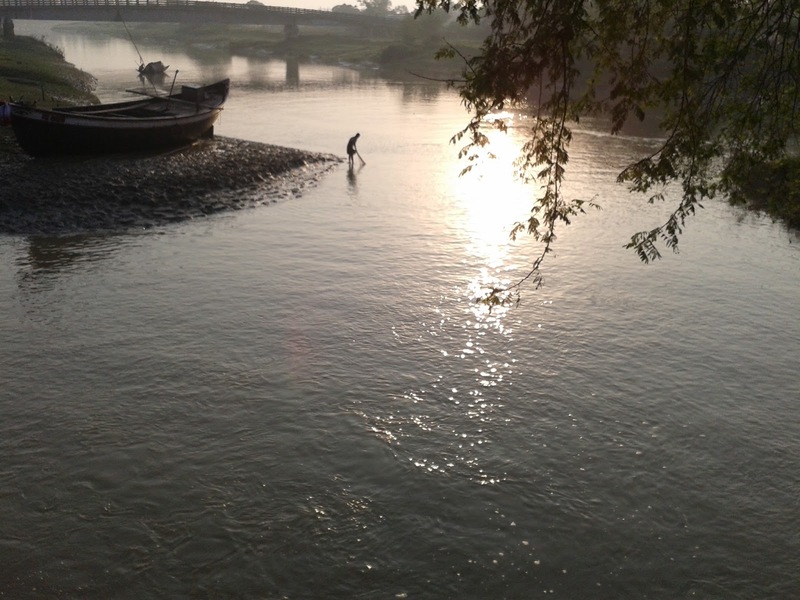 Sun is rising, river is flowing . Soothing sound murmuring in my ear . water is reflected the sun ray . a fisher man catching fish from the river . Some local people roamed and started their daily routine . I suddenly stop walking and observe the whole scenario,and capture the moment in my mind and sharing with you here.